At the end of the thirteenth century, two Genoese brothers with a musical surname embarked on the adventure, fearsome at the time, of finding an alternative spice route. His idea was to arrive in India with two galleys and for that, they had the help of Mallorcan sailors but after crossing the Strait of Gibraltar they did not know about them again. 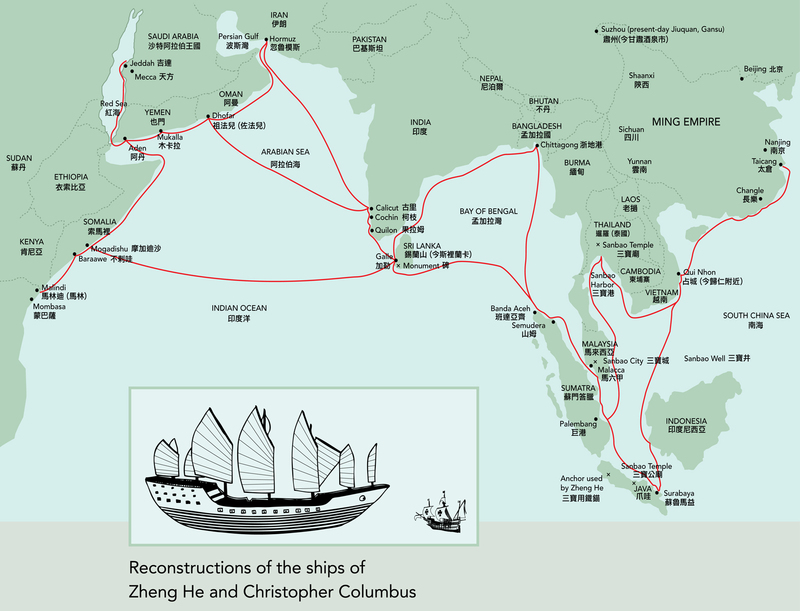 It is possible that they were shipwrecked trying to skirt Africa but there are also those who suggest that their route was to the west, which would have meant opening the door that Christopher Columbus followed. Those pioneers were called Ugolino and Vandino (or Guido) Vivaldi. It is frequent that the arrival of Columbus to America in 1492 usually tries to cloud with possible trips of previous navigators. It is proven that, in fact, some arrived before, as evidenced by archaeological excavations in the Viking site of L’Anse aux Meadows (Newfoundland, Canada) and references to Vinland. We will not go over the usual argument that it was a very modest settlement (just over half a hundred inhabitants), ephemeral and forgotten. Other predecessors do not go beyond the mere hypothetical phase, in the case of the so-called prenaut, the sailor who would have informed Columbus of a visit to a new world. He is often identified too cheerfully with a certain Alonso Sánchez de Huelva, although the name does not appear in documents of the time and, in fact, it was the Inca Garcilaso the first to review it in 1609, in his Royal Comments, from stories he had heard circulated from mouth to mouth as a child. Finally, there are the sensationalist theories that give truthfulness to mere legends such as Saint Brandán’s or the last Templars – they could not miss, of course – or even go back in time to antiquity to propose alleged trips by Egyptians, Phoenicians, Romans and, in general, any other civilization whose presence on the other side of the Atlantic is sufficiently bizarre. Counterfeit pieces with hieroglyphic alphabets tend to emerge cyclically. In that sense, not long ago Erdogan updated the Ottoman claim about it with full conviction and the inevitable map of Piri Reis as a flag despite being proven to have been made in 1513. And there are also those that point to the Chinese fleet of Zheng. He, who existed and made seven trips but always sailing towards the southwest, to the Indian coast of Africa and its surroundings; that is, in the opposite direction to America. On the other hand, the expeditions that really tried to cross the ocean are usually left in the drawer. Some time ago we talked about an unusual one, which was organized by Abubakari II, king of Mali, anxious to know what was on the other side and that disappeared on the high seas in 1312. 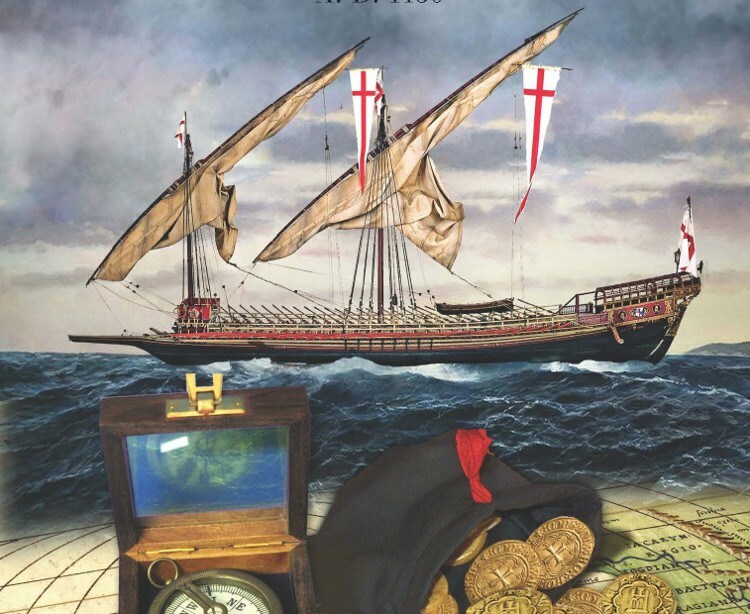 But there were more, like those of the British sailors who sailed from Bristol or the Portuguese from the Azores, in both cases in search of those rich islands that the legends placed in the middle of nowhere (Hy-Brasil, Antilia …). This drive to unravel the secrets of the Atlantic also included, and despite having worse access, Italian navigators; fundamentally of Genoa, one of the maritime powers of the time, being of that origin the two brothers of whom we spoke at the beginning. The trip they starred was really prophetic, even though we barely know the details, as we ignore the data about their lives. We only know that they were engaged in the spice trade, whose negative conjuncture was what spurred them to act. That bad business started in 1291, when the Mamluk sultan Bahrite Al-Ashraf Khalil snatched San Juan de Acre from the Christians, forcing them to evacuate Tire, Sidon and Beirut and expelling them definitively from the Holy Land. 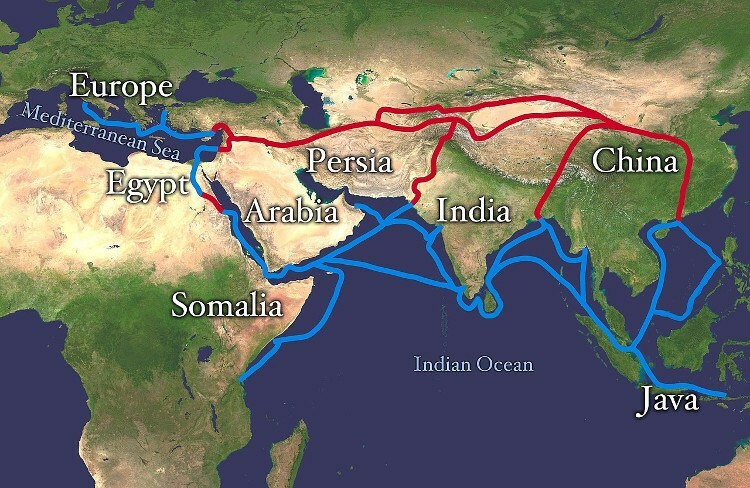 This was a problem for the caravan routes that came from Asia and, consequently, a drastic reduction of the spice consignments, whose demand skyrocketed in parallel to its price. We had to look for alternatives and the only one that seemed to avoid passing through Islamic territory was to open a seaway “ad partes Indiae per mare oceanum”. Several merchants joined to finance two galleys with Tedisio Doria at the helm. The Doria would finance the Portuguese and Spanish explorations two centuries later and, in fact, in Seville a banker of that family, Francesco, worked, who contributed capital for Columbus’ voyage. The ships of the Vivaldi were called Allegranza and Sant’Antonio and they carried a total of three hundred sailors plus a couple of Franciscan friars, their pilots being Mallorcan (they climbed on the first scale of the trip, which was in the Balearic Islands). We said before that it is unknown what the plan was and what was his itinerary since the main historiographical source for this episode are the Annali that Jacobo Doria (uncle of Tedesio) presented to the authorities of Genoa in 1294. “Tedisio d’Oria, Ugolino Vivaldi and a brother of the latter, together with some citizens of Genoa, started an expedition that nobody until then had ever tried. They equipped two galleys in a splendid way. After supplying them with supplies, water and other necessities, they sent them on their route, in the month of May, to the Strait of Ceuta so that the galleys could sail through the ocean to India and return with useful merchandise. The two brothers mentioned above were on the boats in person, and also two Franciscan friars; all of which truly amazed those who witnessed it, as well as those who heard about them. After the travellers passed through a place called Gozora there was no more news of them. There are other references that are those that bring the name of that brother (Vandino), of which Tedisio says that he did not accompany Ugolino on board and that they indicate that they were carrying food for the very long term: no less than ten years. The Book of Conosçimiento (a geographical-literary manual written by a Castilian friar in the second half of the 14th century that describes the world from the point of view of a traveler, following the model of Marco Polo ) mentions the Vivaldi saying that they were shipwrecked in the region of Guinea and that the son of Ugolino was found looking for his father. Sure enough, that Scion was called Sorleone and had organized a rescue expedition in 1315 by not knowing anything about the two galleys. And he was not the only one because three years before he had already left, led by Lanceloto Malocello, who decided to look first at the Canary Islands, because an island of the Chinijo archipelago was called (and is still called) Alegranza, like one of the galleys. Only that on the way he found an island to which he put his name ( Lanzarote ) and liked it so much that he changed plans on the march, staying to live there for two decades until the aborigines rebelled against the Europeans and had to leave. The region of Guinea was not what we would today understand as such, but the way to call all Black Africa. The Book of Conosçimiento situates the episode in Magdasor, which could perhaps be Mogadishu (Somalia), taking into account not only the cacophonous resemblance but also that it describes it close to the kingdom of Prester John, traditionally located in the Horn of Africa. 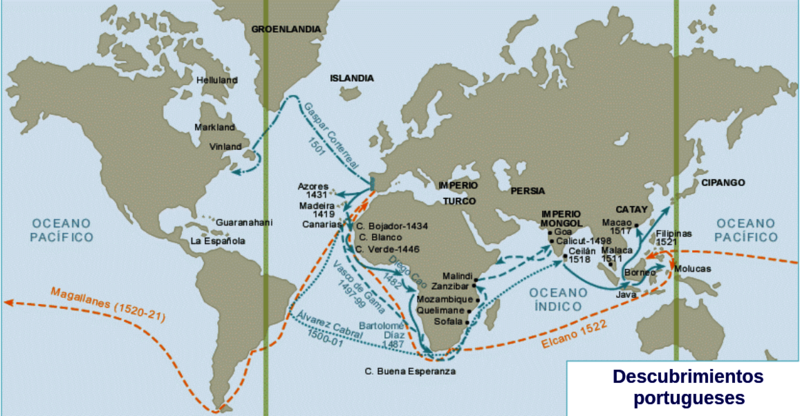 This would mean that the Vivaldi managed to double the Cape of Good Hope and sail north through the Indian Ocean. Now, the Preste Juan was just a willful legend and also that book has a markedly fantastic tone. Not to mention that other details written by the friar seem to indicate rather that he is talking about the Atlantic African coast, since the Senegal River, the Mali Empire, are cited, as well as other places, in the case of Senegambia. “In the year of 1285, two galleys sailed from the city of Genoa commanded by the brothers Ugolino and Guido Vivaldi ( Hugolinum et Guidum de Vivaldis fratres ) with the purpose of going, on the east ( per Levantum ), to parts of India. These galleys sailed a lot; but when they entered the sea of Guinea ( mari de Ghinoia), one of the galleys broke his helmet, and could not continue sailing further; the other, however, continued through this sea, until he came to a city in Ethiopia called Menam; They were captured and detained by the inhabitants of this city, who are Christians of Ethiopia, subjects of Prester John. The city is located by the sea, near the Gion river. We see that the year is wrong. All these assumptions and unknowns did not do but enlarge more and more the legend on that trip, which leads to wonder what defeat could follow the ships and what would be its end. We have already said that the galley was not the type of ship suitable for navigating the ocean, for having too much length, a thin hull and triangular sails; the oars would not help too much with the huge Atlantic swell. Thus, things probably never went too far from the coast and this one could betray them. Since the compass had not yet been invented and they lacked nautical charts of the area to be covered, after passing the Columns of Hercules and making a possible stopover in the Canaries, perhaps they continued sailing parallel to the African coast making sporadic landings. In this way they were able to reach the mouth of the Senegal River, where at least one of the galleys was wrecked, without knowing in what circumstances (in that area there are great shallows, in one of them the famous frigate Medusa ran aground ) or what happened with the other. If we let imagination go, there are other alternatives: they were able to circumnavigate Africa, which means that the Portuguese Bartolomé Díaz was advanced almost two hundred years ago – and, if they managed to reach India, Vasco de Gama – to get lost in the Indian Ocean, either on the way back … or do it in the Atlantic prow to America, prefiguring what Columbus would do successfully at the end of the 15th century. The islands of the end of the world.